The origins of homeopathy involves a long history, and many interpretations over time. It was actually a german physician who founded homeopathy, over 200 years ago. Dr. Samuel Hahnemann worked on the idea of treating ‘like with like’. 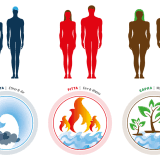 The idea is “any substance that can produce a set of signs and symptoms in a healthy person can be used to cure a similar set of signs and symptoms in a diseased person”. However, Dr. Hahnemann was not the first person to consider this idea. For those studying the origins of homeopathy it is believed that the idea of ‘like cures like’ has been around since 400 BC. It is said that Hippocrates treated mania with a small dosage of mandrake root, the same thing that can cause mania in large doses. This idea was also recorded in the 16th century with the latin phrase “similia similibus curantur”, translated to “what makes a man ill also cures him”. The idea was continued to be explored over the next few centuries. Dr. Hahnemann is credited for studying these historical practices and improving on them, as well as creating the term ‘homeopathy’. He worked with the ideas of ‘like with like’ that has been explored in the past, and established the idea that a small amount one substance being injected into healthy individuals will produce the same effects that are caused by the disease they treat in unhealthy people. He also worked on the idea of illnesses having spiritual components as well as physical. With Dr. Hahnemann’s findings, the study of homeopathy grew. His students started schools to educate doctors around the world on the study of homeopathy. In the 19th century its rise began. This was when many disease epidemics were occurring, such as cholera and scarlet fever. Homeopathy is credited for helping immensely helping treat these outbreaks. In London in 1854, mortality rates of most hospitals were over 50%, however in the London Homeopathic Hospital they were only 16%. This success, amongst others assisted with the growth of homeopathy worldwide. 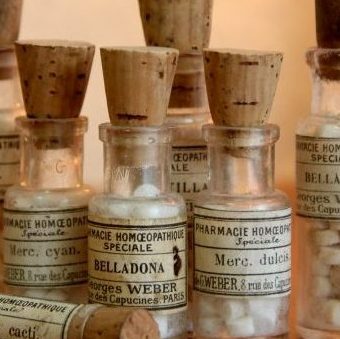 In the early 1900’s the use of homeopathy was at its highest, with major universities such as Boston University, Stanford and New York Medical College, along with 22 homeopathy schools and 15,000 practitioners in America alone. It was not just popular in America, but also across Europe, favoured by leaders of the times, including the royal family. The American Medical Association (AMA) lead a fight against the study of homeopathy. They saw homeopathy as an enemy against the drugs that they were promoting at the time. The AMA would only accept doctors who has trained in homeopathy into their organisation if they denounced homeopathy and promised not to practice anymore. This is despite the fact that doctors who had studied in homeopathy were performing higher in their medical exams than doctors who were studying medical practices supported by the AMA. Unfortunately, the AMA had a large influence and this lead to the practice of homeopathy almost being wiped out in the mid 1900’s. During the mid-late 1900’s homeopathy practice was heavily reduced in America, however was still heavily used in many areas of Europe. Even in these countries though, the study wasn’t growing and was being used alongside other forms of medicine. It was in the 1990’s when questions started to arise around other forms of medicine. The negative and harsh side effects of the primary treatments in America were starting to cause worry. Homeopathy started to see a revival in this time. The worry about many unknown ingredients in other forms of medicine saw people looking for more natural and less harsh treatments for common medical issues. 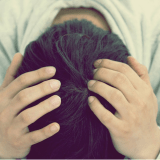 People started to be more aware of the ties between mental, physical and spiritual health, and the need to address all of these aspects in treatment. These days homeopathy is thriving in many areas, with acknowledgments of its ability to work on overall health as well as targeting specific problems in personalised ways. Homeopathic doctors, including those a AyurClinic, study for years to understand the practice and how to deliver the best treatment. Homeopathy continues to follow the ideas behind its origins, in that simple and often singular substances, taken carefully with assistance from practitioners, can address worrying symptoms and overall health. Homeopathy works on holistic health, treating health as a whole issue were mind, body and soul are tied together. If you’re looking for a doctor who genuinely cares, and wants your whole health, healing physically, mentally and spiritually, than you should not look past homeopathy. At AyurClinic Melbourne we have had success treating over 9,000 patients with our holistic health method. You can read more about homeopathy here.